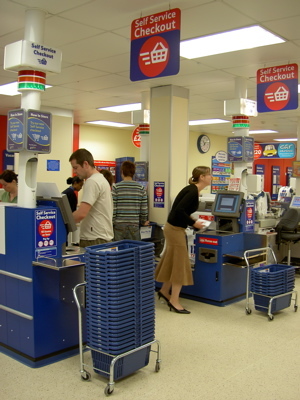 The thing I saw for the first time in London was a self service checkout in a supermarket. You scan products you are going to buy and you pay by yourself. I tried it, but I ended up calling some assistance (T0T) how embarrassing. It would be convenient when you have a few things to buy. I read this kind of cashiers exist in New York. I wonder if there are some in Japan. There are ones in Victoria, the capital of British Columbia. Has anybody seen it in Vancouver?